Mark your calendars now for the Heartland/Area 6 Holiday Dinner and Auction on Nov. 12. It’s a fun evening out with friends and family to support a great cause. Enjoy delicious food along with a cash bar and live musical entertainment at the DoubleTree Hotel & Conference Center in Bloomington. You can also start your Christmas shopping by taking part in the live and silent auction. Tickets can be purchased online for $65 per person or purchase a table (10 tickets) for $600 and bring your family and friends. For more information, please contact Area Director Jill Bertelsen at 309-888-2012. Special Olympics transforms the lives of people with intellectual disabilities, allowing them to realize their full potential in sports and in life. That is especially true of Matthew Maag (Matt), 18, of Alton. 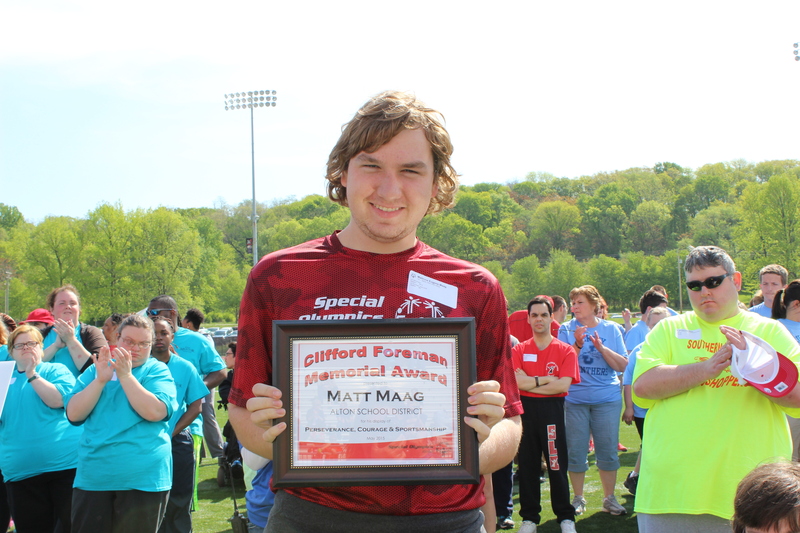 Since his start with Special Olympics in the fall of 2011 with Alton School District, Matt has surpassed all expectations that his family, coaches and friends could ever have for him. 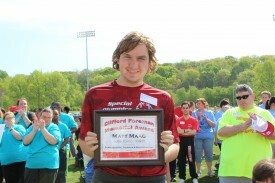 Matt’s start in his career with Special Olympics came at just the right time. As a high school freshman, he faced some challenges at school from bullying and low self-esteem, said his mother, Lisa Maag. Then Matt was approached by coach Tammy Talbert to get involved with Special Olympics. Starting with track and field, Matt now also competes in bowling, basketball and aquatics. His swimming career has blossomed into more than he could have ever hoped for. In addition to swimming on the Alton High School team, Matt has joined begun swimming with the Tri City Tidalwaves, a year-round community competitive swim team affiliated with the Tri City YMCA in Granite City. 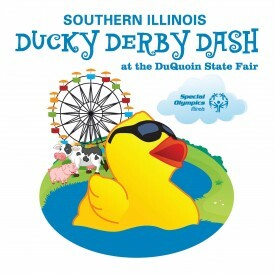 The Southern Illinois Ducky Derby Dash at the DuQuoin State Fair is a signature fundraising event for Special Olympics Illinois. 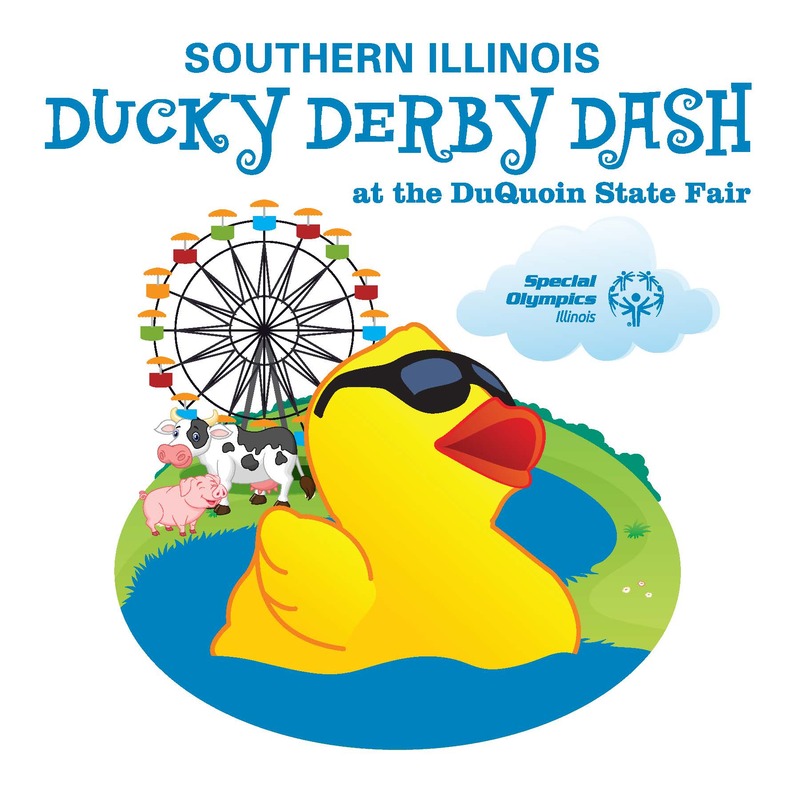 On Sept. 6, thousands of spectators will watch 5,000 ducks splash into the lake behind the Exhibition Hall on the DuQuoin State Fairgrounds and race towards the finish line. Race Day kicks off at 11 a.m. behind the Expo Hall with entertainment for the entire family – live music, face painting, games, and an appearance by Splash, the Duck Mascot. You can adopt a duck for only $5. Get more chances to win by purchasing a Quack Pack (6 ducks for $25), Flock of Ducks (24 ducks for $100) or Ducky Derby Donor package (60 ducks for $250)! You could be the winner of one of our great prizes including a three-day all-inclusive Apple Vacation or a tickets to the 2016 XFINITY Series Race at the Chicagoland Speedway! Sales teams are forming now. Put together a group of friends, colleagues or family members to join the fun. 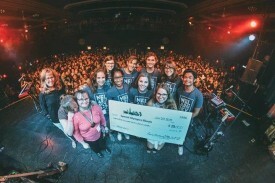 Teams compete for bragging rights and great prizes. To form a sales team, click here. For more information on starting a team or to volunteer, contact Paul Melzer at 618-457-2969.